Document retrieval is the task of returning relevant textual resources for a given user query. 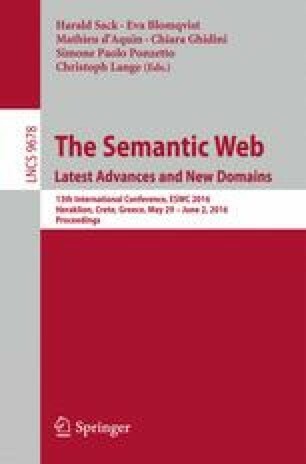 In this paper, we investigate whether the semantic analysis of the query and the documents, obtained exploiting state-of-the-art Natural Language Processing techniques (e.g., Entity Linking, Frame Detection) and Semantic Web resources (e.g., YAGO, DBpedia), can improve the performances of the traditional term-based similarity approach. Our experiments, conducted on a recently released document collection, show that Mean Average Precision (MAP) increases of 3.5 % points when combining textual and semantic analysis, thus suggesting that semantic content can effectively improve the performances of Information Retrieval systems.